Hosted virtualization also called as the Management Layer Approach is simply speaking the virtualization that end users use hosted on their own Computer or Desktop. In Hosted virtualization, you typically use your own machine’s Hardware and operating system to run a virtualization software such as VMWare Server, VMWare Workstation, Oracle Virtual Box or Microsoft Virtual PC and inside this hosted platform you run your virtual machines. In dedicated virtualization scenario, you carry out virtualization on a dedicated hardware with dedicated virtualization software, examples of dedicated virtualization approach are software such as VMWare ESX server, Citrix’s Xen Server and Microsoft’s Hyper-V. 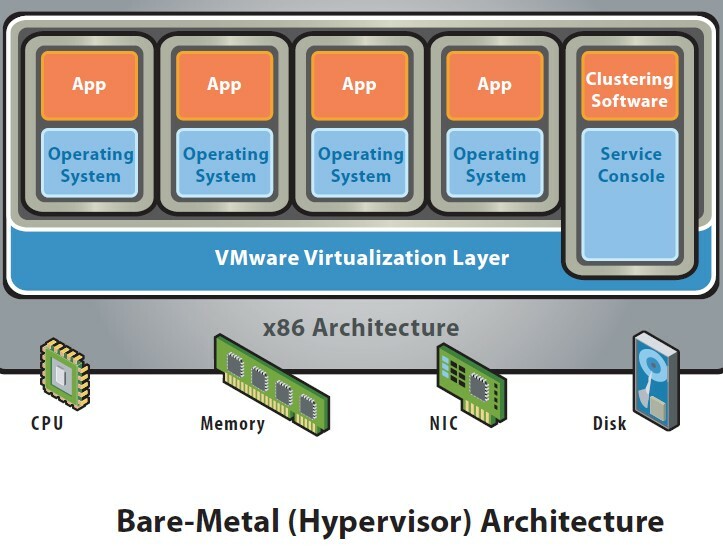 Although Hper-V runs on layered on Windows Server 2008 R2, its still not the same thing as calling it a hosted solution, because it can directly talk to the real hardware and leverage its capabilities such as using different cores of the CPU, allocating memory etc. The biggest disadvantage of using a hosted virtualization solution is that you have to go through a translation through the already installed operating system, which consumes resources and pefrormance is degraded. The only advantage of a hosted virtualization solution is that you do not have to wipe out your existing machine of its operaing system and all the desktop applications you use. This is what makes this so appealing to people learning virtualization or using virtualization in a test scenario rather than in production. The biggest advanted of a dedicated virtualization solution is that there is no intermediatery host operating system through which a “translation” has to happen. The exception being Microsoft’s Hyper-V which is layered on the Windows Server 2008, however like I said before, it can still talk “directly” to the underlying hardware. Dedicated virtualization is what you will be using in most corporate or enterprise implimentation where dedicated hardware for virtualization is an easy thing to procure. The only disadvantage if any of the dedicated virtualization is that it needs dedicated hardware that you cant task to anything else, but the chances are if you are going to be implimenting it in a corporate, enterprise environment, you will not be bothered to retask or multi task those machines for anything else. Dedicated Virtualization beneficial if you are planning on other forms of virtualization and not just a Physical to Virtual virtualization. 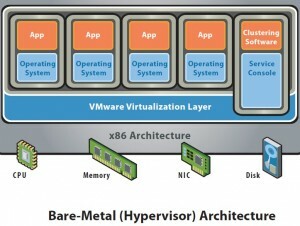 You can read this article on what are different forms of virtualization.